You’re one step closer to achieving the smile you’ve always wanted! After your consultation, we will schedule your first appointment for diagnostic records: pictures, X-rays and impressions of the teeth. Within a few weeks, we will have a case presentation to discuss all the details of treatment, and then the following week we will place your new orthodontic appliances. This appointment generally takes between 60 and 90 minutes, and during this time our team will be available to make sure you are as comfortable as possible. 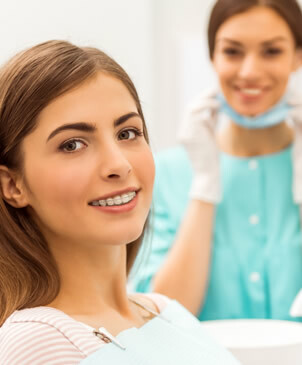 Visiting the orthodontist about every four to six weeks is an essential part of your orthodontic treatment. Our practice will work with you to make sure your appointments are as convenient as possible. When scheduling appointments, please let us know which days and times work best for you.